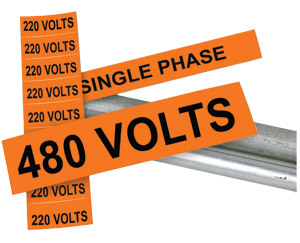 Voltage Markers are self adhesive markers you peel and stick. Brimar's specially formulated adhesive is applied with a heavy coating to ensure adhesion to a variety of surfaces. Apply markers only to clean and dry surfaces. 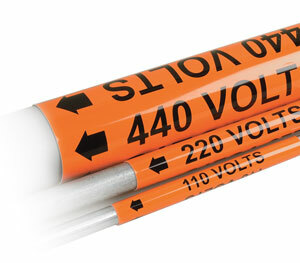 Markers comply with OSHA and NEMA labeling methods.